Marking the month in which the Quran was revealed to the Prophet Muhammad, Ramadan is a time for forgiveness, reflection and the renewal of faith. It is a time for compassion, generosity and kindheartedness towards others. Ramadan is also a time for strengthening bonds between family and friends as Iftar/Breaking of Fast dinners are shared to break the fast each day. Be spoilt for choice this holy month of Ramadan when you savor TAMU Hotel & Suites Kuala Lumpur’s Suasana @ 27 restaurants sumptuous ‘Buka Puasa’ with ‘Selera Kampungku’ as its theme for this year. TAMU Hotel & Suites Kuala Lumpur’s ever-popular breaking fast buffet which will run from 6‘“ May until 4‘h June 2019 offers a delightful blend of traditional dishes served during the Hari Raya season as well as Malaysian and international favorites from the world over. The various starters ranging from refreshing green salads to the traditional Kerabu Taugeh, Kerabu Nenas salad and assorted ‘Ulam-Ulam ’ are a perfect beginning to a sumptuous spread. 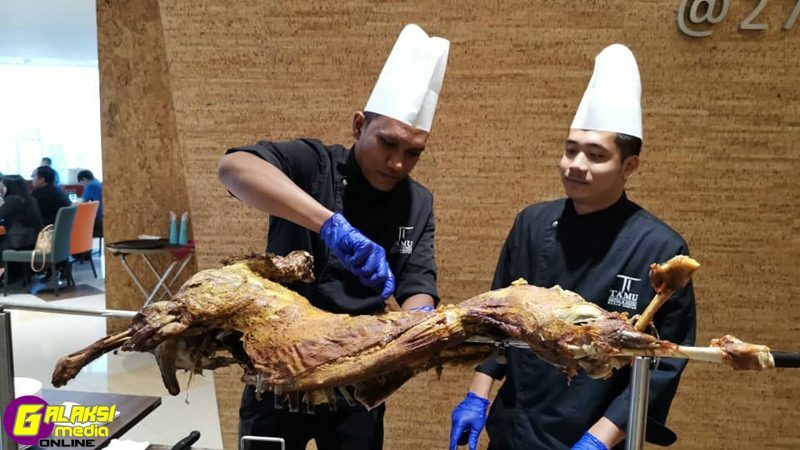 “For Buka Puasa, we have our chef reliving Malaysian kampong dishes such as Kambing Panggang, Patin Asam T empoyak, Bubur Lambuk, Ayam Samba] Petai, Ikan Bakar and Cencaru Sumbat,” he said. Eleven individual stalls will be spaced around the restaurant featuring special signature dishes. Guests can expect Beef and Chicken Satay, Nasi Briyani, Mee Goreng Mamak, Pajeri T erung, Aglio Olio, Yong T au Foo, Nyonya Mee Curry, Seafood Curly with Lady F inger, Laksa Penang, Portuguese Foil Fish amongst many other must-try traditional Malay dishes. Those looking for lighter and healthier options can toss up their own Ulam-Ulam Tempatan or pick liom a variety of ready-made salads on offer. The crowd favourite is always the Daging Salai Gulai Lemak which is prominently featured in the hotel’s daily buffet lunch and dinner offering. If you are a fan of Chinese inspired cuisine, head on to the China Town special counter for your dosage of Yong T au F00 and Lok-Lok with Spicy & Sweet Sauce that will certainly whet your appetite. Not to be missed is the sweet ending of a buffet is the heavenly desserts that one must try for a happy tummy. Be treated to spectacular desserts such as Assorted Mini French Pastries, Chocolate Mousse. Bread and Butter Pudding, Bubur Jagung, Bubur Kacang Hijau, Cendol Durian. assorted cakes, tarts and other desserts awaits you. It is indeed a blessed yet delightful way to ‘bcrbuka puasa‘ with your loved ones. For a more private and exclusive dining experience and in addition to the appetizing buffet lay out at Suasana@27 this Ramadan; guests would also be able to take pleasure towards indulging in the ‘Hidangan Nasi Dulang Ramadan’ richly infused with traditional herbs and spices and cooked to perfection. This ensemble of culinary delight will include the all time favourite Nasi Briyam’ Kambing, Telur Rebus, Daging Masak Lada Hitam, Udang Galah Goreng Tepung. Ayam Berempah, Dalca Sayuran, Acar Jelatah, Papadam, Cili Hijau Bakar. Tomato Chutney and Cucumber Raita. This delectable offering is available in ‘dulang’ sets for 4, 8 and 10 diners. It is specially prepared by Chef Ahmad Fadaly Bin Muhammad, our Assistant Malay Chef and will only be available at the TAMU SKY LIOIUINIGIE on Level 40 of the hotel. Ramadan Early Bird Vouchers are for sale now until 2nd May 2019 at only RM77nett per person valid from 6th May to 4‘h June 2019. Please call the hotel at +603 2603 1999 and ask to be connected to Suasana@27 or WhatsApp +601163883599 to book your vouchers right away. 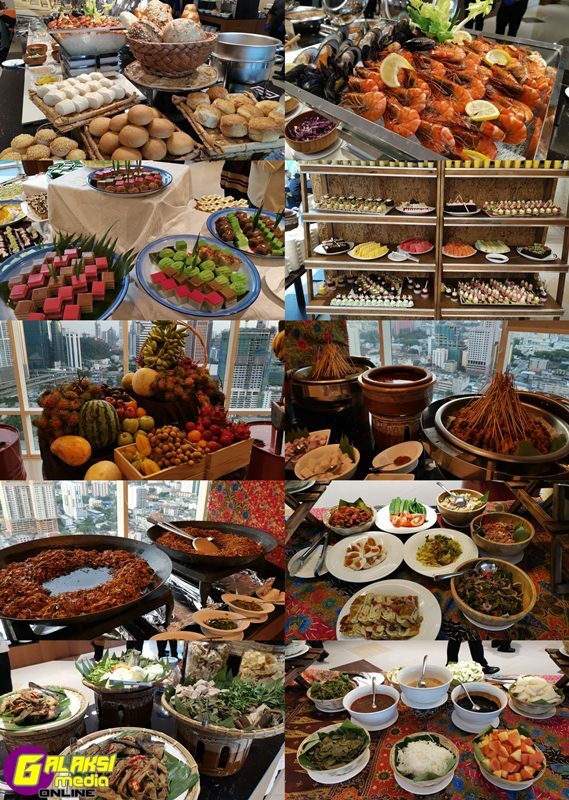 After the 2“d of May, the buffet spread will be priced at RM99nett per adult and child pays half the price of adult. Diners wishing to embark on an exclusive and private dining encounter, we suggest that you could experience dining at TAMU SKY L|O|U|N|G|E on Level 40 and feast on our ‘Hidangan Nasi Dulang Ramadan ’. Prices are RM780 nett, RM148O nett and RM1700 nett for 4, 8 and 10 diners respectively. Please contact the hotel at +603 2603 1999 or WhatsApp +601163883599 for reservations. Throughout the month of Ramadan, guests can relax and unwind in comfort at TAMU Hotel & Suites Kuala Lumpur with special room rates starting from only RM310 nett per night inclusive of Buffet Ramadan Dinner for two. We look forward to welcoming you, families, fn’ends and colleagues to Berbuka Puasa at TAMU Hotel & Suites Kuala Lumpur and savor an exquisite buffet spread that’s truly a pleasure not to be missed. Indeed, it is a perfect way to share the spirit of the holy month while sharing quality time with loved ones.